We expertly restore and create distinctive detail to grace your ceilings and walls. 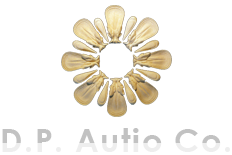 We have experience restoring ornamental plaster in historic preservation projects, as well as creating new designs for modern plaster projects. D.P. Autio Co. is an ornamental plastering preservation specialty company. For over 30 years, institutional, commercial, and residential clients have relied on D.P. Autio Co. to faithfully preserve and restore damaged plaster details and surfaces to exacting specifications. Our clients also look to us to create distinctive new custom details to enhance the uniqueness and value of their homes and buildings. Our company has considerable experience in historic preservation projects. We use old-world techniques, materials, and craftsmanship to authentically preserve and restore worn or damaged plaster elements and surfaces back to a state of grace and beauty. Our new plaster details can be either simple or ornate and crafted to complement both traditional and modern decor. All of our pieces are hand-sculpted and cast in our studio in the time-honored tradition of early craftsmen. Crown moldings can be either constructed in-place or produced in our studio and then installed. We work with you, your designer, architect, or contractor to customize our products and services to your needs, preferences, and requirements. We can help on a range of projects: a single gorgeous medallion, an elegant dome, graceful crown molding, or a larger preservation or renovation project. D.P. Autio Co. will provide you with highly personalized service, unparalleled expertise, and incomparable results. Learn More About D.P. Autio Co.